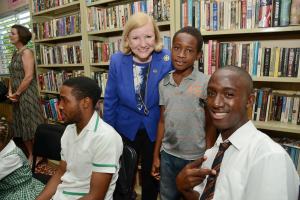 Grant making is the focus of the work we do at the American Friends of Jamaica. We seek to recognize and empower organizations that carry out vital programs to assist Jamaicans in need with grants that support their work to improve the lives of Jamaicans. 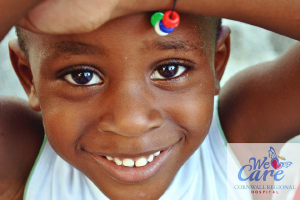 We do our work with community groups, NGOs, hospitals, schools and the University of the West Indies (UWI). These entities meet our criteria for measurable impact, an efficient track record and excellence. We believe in building partnerships with knowledgeable, creative and informed institutions. Our Program Analyst in Jamaica conducts site visits, evaluates progress and submits biannual reports. We make grants across the spectrum in education: with 4 Scholarships funded annually at the University of the West Indies, tutoring programs for secondary school students, job training programs and a focus on Basic School Education. Quality preschool education has been proven to produce long term improvements in school success and graduation rates. Our grants have provided teacher training and materials in pre-schools across the country and partnered with projects focused on raising school readiness. We have forged a partnership with We Care for Cornwall, a charity which works closely with the regional hospital for Western Jamaica, Cornwall Regional Hospital– supporting unmet needs in equipment, pediatrics and a new much needed Accident and Admitting area. Additionally, our grants range from the facilitating the universal screening of newborns for sickle cell anemia, to Bustamante Children’s Hospital and rural medical missions. We evaluate our grants for potential impact on job readiness and job creation as we believe that together with education and health, these form the foundation for development. 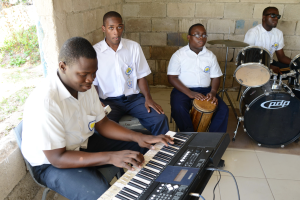 Our grants include Alpha Boys School’s new music business program, inner-city skills and job training programs and a sustainability initiative at SOS Children’s village. The AFJ accepts grant proposals from organizations with programs in education, healthcare and human and economic development benefiting the people of Jamaica. The grant cycle begins end of the first week in November, the deadline is end of the first week in February each year.